Inspired by the popular success of Triumph's prewar Speed Twin, and aware that other factories were working on their own versions, Norton realised that if they were to have any future after World War 2, they too needed a twin engine. The job was undertaken by Bert Hopwood, who had worked on the development of Edward Turner's original Speed Twin design and had a vast experience in the industry. In 1947 Hopwood laid out his design, which aimed to improve on the Triumph's weaknesses, such as poor cooling, and incorporated some new ideas of his own. Chief among these was the use of only a single camshaft for inlet and exhaust valves, in place of the two used by Triumph and all the other factories. 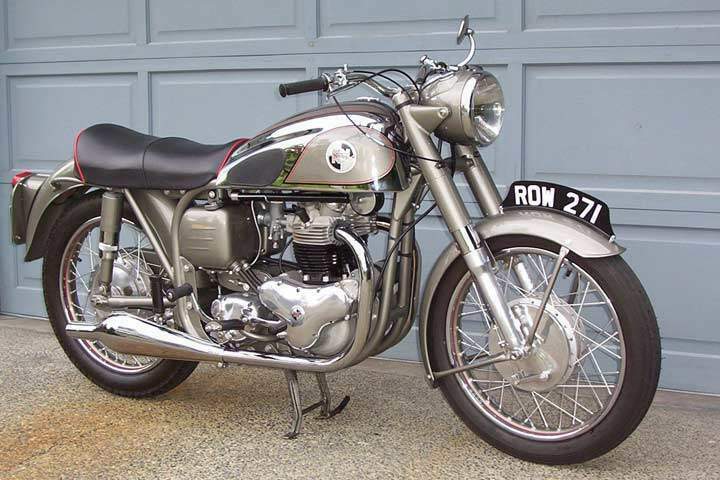 The design had to work within the constraints of Norton's antiquated manufacturing machinery, as well as running on the poor quality post-war 'Pool' petrol. And for reasons of economy, it had to fit into the existing single cylinder model's frame. Such thoughts as these were behind the choice of a single carburettor, with close inlet ports and splayed exhausts. Fitted into plunger cycle parts from the range-leading ES2 single, with some cosmetic changes including a special tank and mudguards, this became the Norton Model 7 Dominator, launched in 1949. With a soft tuning, it offered little real challenge to Triumph's twin - but it could still reach 90mph and offered excellent reliability and handling in the Norton tradition. It was phased out in 1956, having long been overshadowed by its replacement, the De-Luxe, or Dominator 88, which first appeared in 1953. What made the 88 special was its frame, a close copy of the successful 'Featherbed' used on the works Manx Norton racers. Weighing some 401b less than the Model 7, it handled and went rather better than its predecessor. In 1956 the 88 Dominator's engine received the benefit of some serious performance development. 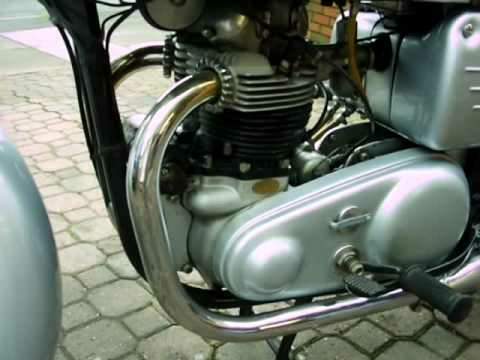 The engine was resized by enlarging both bore and stroke to give a new capacity of 600cc. Its power output went up from 29 to 31 bhp and the new model was given a new name, the Dominator 99. With a hotter camshaft and higher compression ratio, plus new carburettor, the model's number roughly equated to its top speed. There were also frame refinements to match the performance. 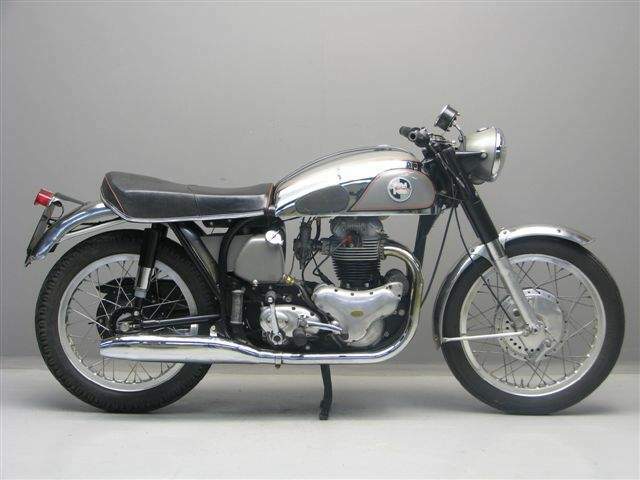 The next important change was in 1961-62, when a new 49 bhp 650cc model was announced and both the 88 and 99 came out in SS (Super Sports) versions. The 600s were soon discontinued and in 1964 the first of a series of 750 models, the Atlas, appeared.